Tom’s friend Andrew was in town on a fishing vacation. His first stop was Miami area for peacock bass and snake heads. His last stop was our Gulf coast for a little pull of a Goliath grouper. Guys day out on the boat, both Andrew’s and Tom headed out in search of a local moster grouper, the conditions were perfect. They brought along some frozen mullet for bait but soon learned these grouper were going to be picky today. A few tries with the mullet on the knocker rig and no luck. Not a nibble. Then they started to notice some large jacks schooling around the area and caught a couple on swim bait’s. These are fun to catch and drag screamers at this size! They make nice goliath and shark bait as well. Since the mullet werent working the guys gave the jacks a try! That sure did the trick! Andrew hooked one on the line and sent it down next to the piling where the grouper like to hang out. It wasnt down on the bottom for 3 mins before he was hooked up! 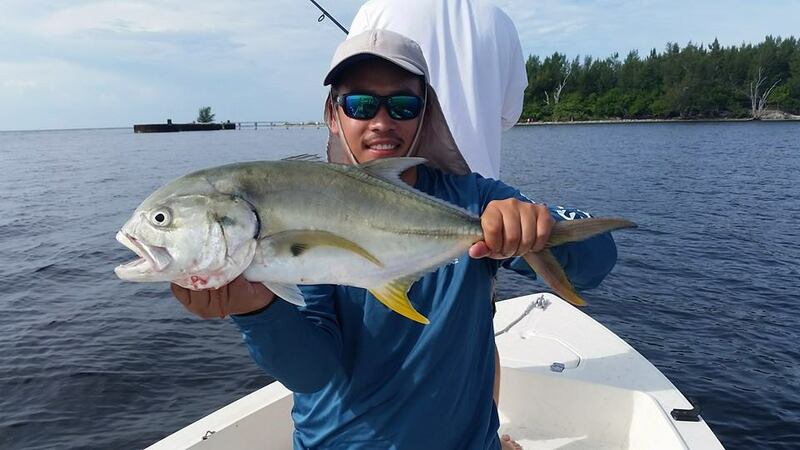 Andrew was in for the workout of a life time, these fish are pretty strong and know how to take you into structure to cut your line. After a fight on the 80w reel Andrew landed his first goliath grouper! Check out the video below of his adventure, watch in HD for best quality. IF it works out I think it will be available by July or August . Enough time for me to punish this one. or just a quiet day hiding from the real world, However you Spend today, Our best to you. The Pirate Crew & me. Happy thanks Giving Every one, Sevearl People are saying thanks for the Snook Fishing over the last few nights, Just when you think you know the rules about Fishing, like right after a front the bite should shut off for a while, and this front was a good one, I would have thought the fishing would be slow for at least 2 days, We it was slow for about 5 hours then dark came and the Snook bite was back on. Cold and blustery conditions is effecting getting out on the water. Luckily we live in florida and it usually passes with in a few days. 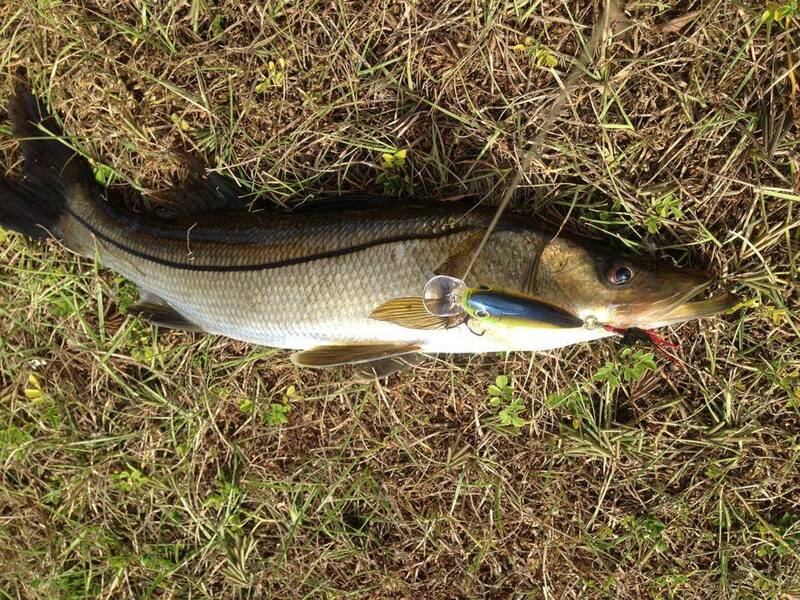 Snook are starting to be pretty heavy around our local spillways, the cold fronts have triggered them to moved up the river and into canals. I stopped yesterday on my way home and caught a few on one of my favorite fresh water lures. 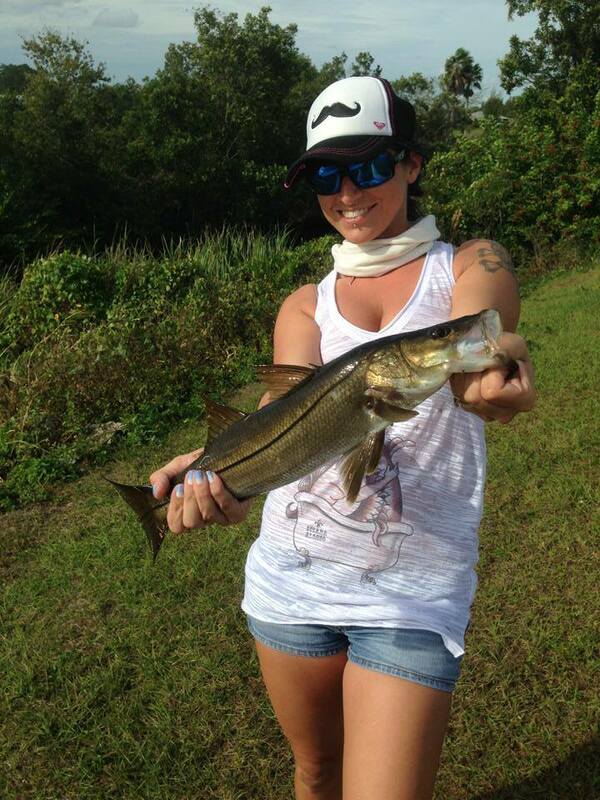 Only a few more days until the GULF snook season is closed until spring time. There is Snook, and Small Tarpon, the DOA Terror eys are good here, but the small ones for Tarpon and the larger ones for Snook, Another good lures Rat-L-traps and Spoons, This is a nice get away places, has some very shallow spots, but fun to explore, This is a Slat water fishing area, That said I have caught a few Bass which have come down over the dam above this on Taylor Rd. So be ready for almost anything. I hope you enjoy this spot, If you are a live bait person Shrimp will work fine here, Now Fresh water Shiners are great bait for the Snook here, But Florida being the way it is, to use Fresh water Shinners here you might want to have a fresh water lic, I know it is Salt water, But it is part of the intentional zones, Why I don’t know, I just the messenger, not the Law maker or enforcer. 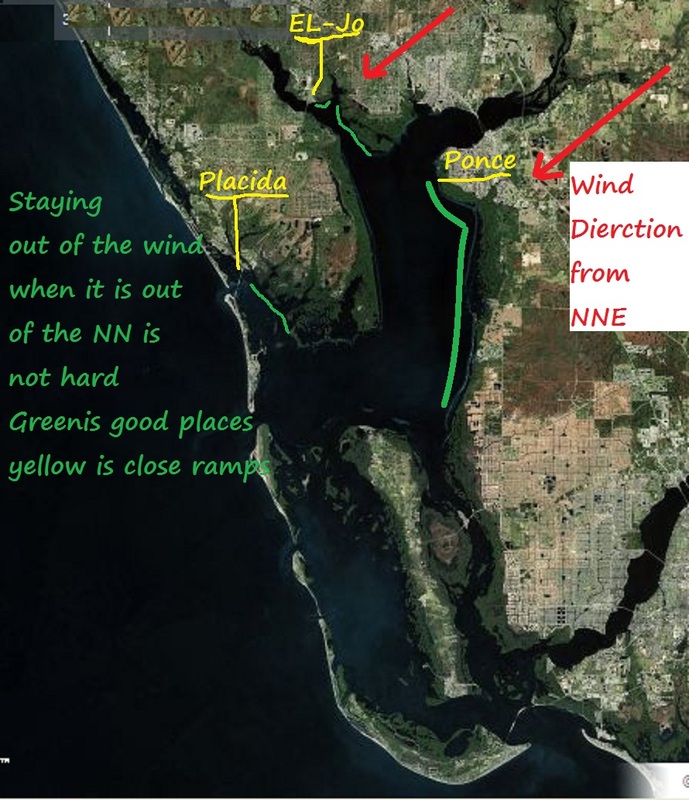 A way to use them and be ok is if checked they say what are you doing Say Snook Fishing, do not say “Fishing” as there is Bass in the area which would require you to have both Salt & Fresh lic, So just say Snook Fishin and be safe. WATERS A LIGHT CHOP. PATCHY FOG. But Trout Fishin in the Harbor is very good right now and lots of Reds on both east and west sides. This might be your window to play with some King Mackerel, They have been from 3 miles & out.